719 Cherry Valley Road Gilford, New Hampshire. 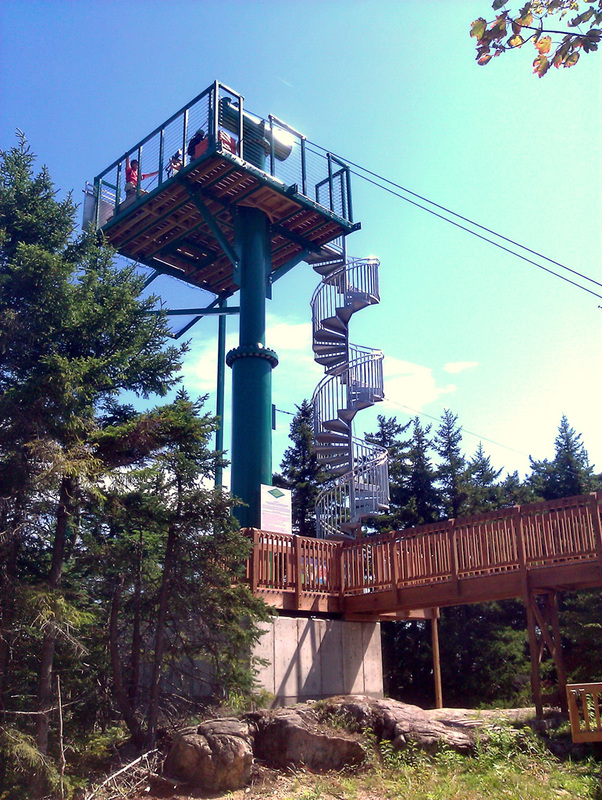 For days/hours of operation please visit the Gunstock Mountain Resort website or call 603-293-4341 for ride reservations. 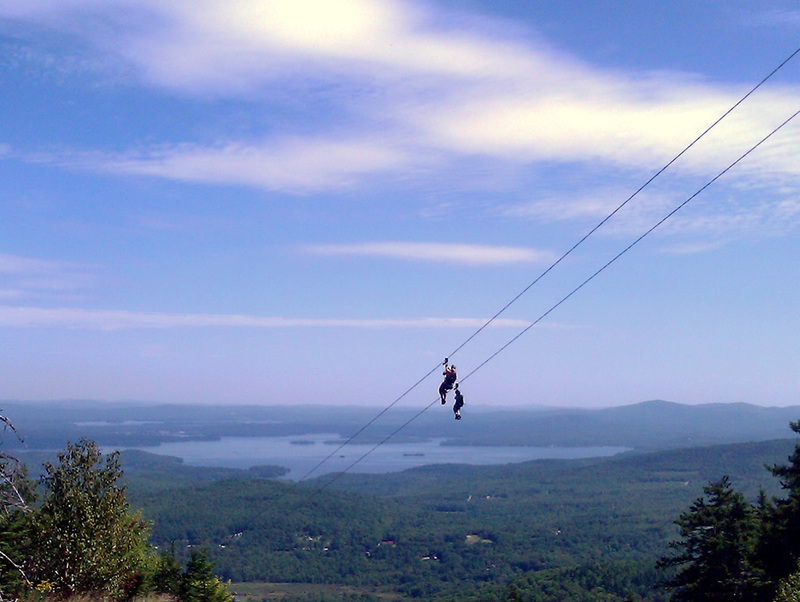 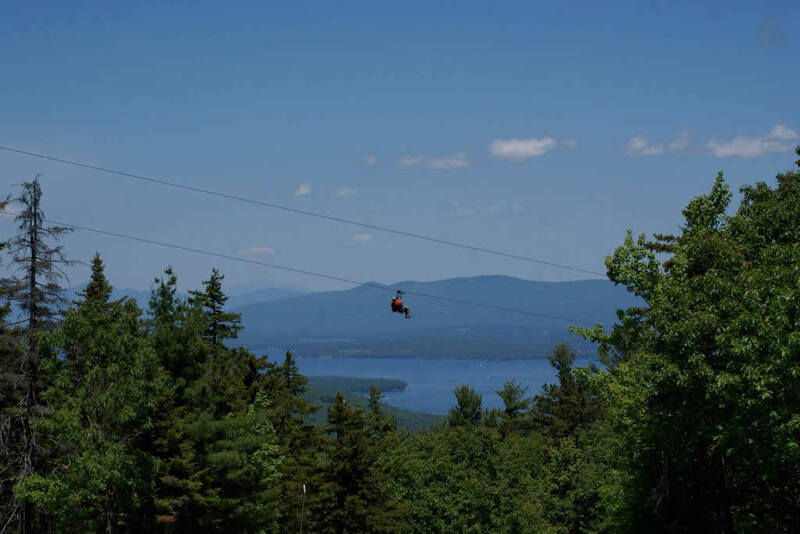 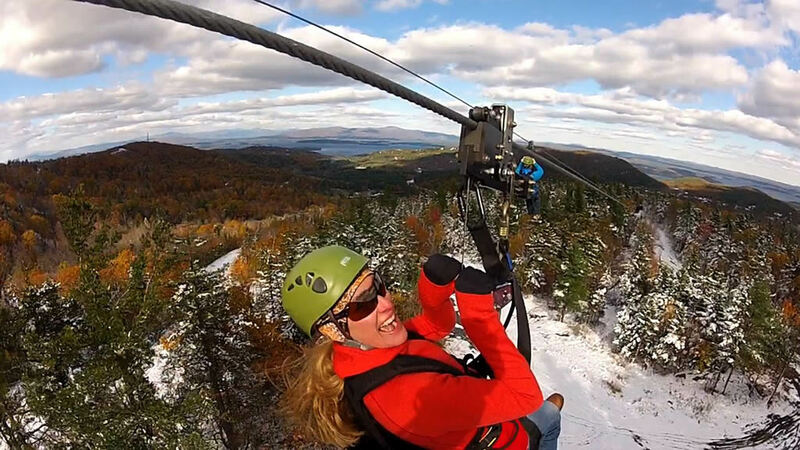 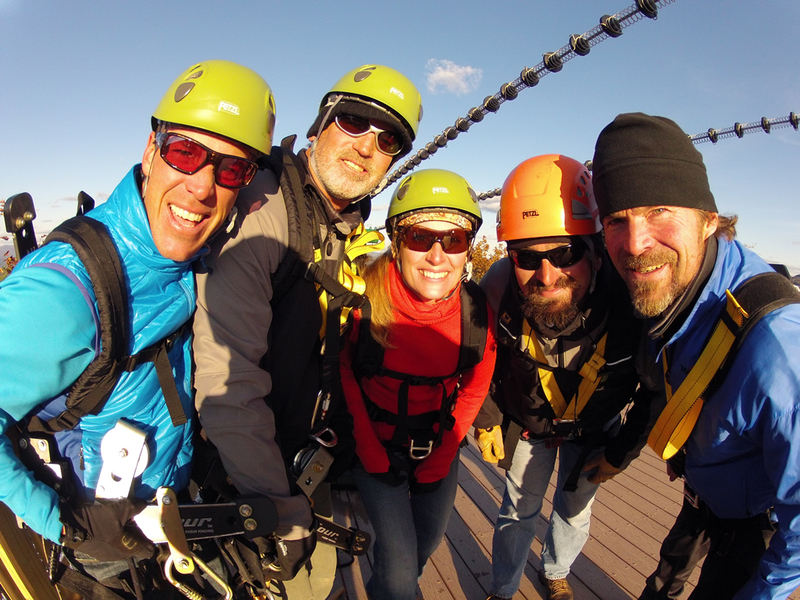 Gunstock introduces the first "summit to base" zip line experience as the most innovative alternative to descending the mountain since wooden skis! 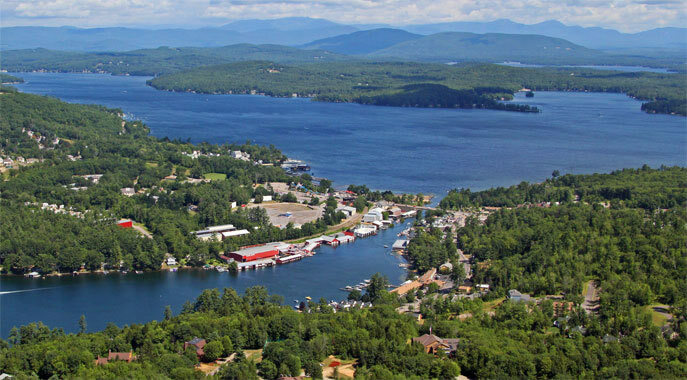 With more than 8700 feet of zipping and astounding views of Lake Winnipesaukee, Gunstock's legendary runs seem to drift by as you effortlessly float above (if only skiing were this easy). 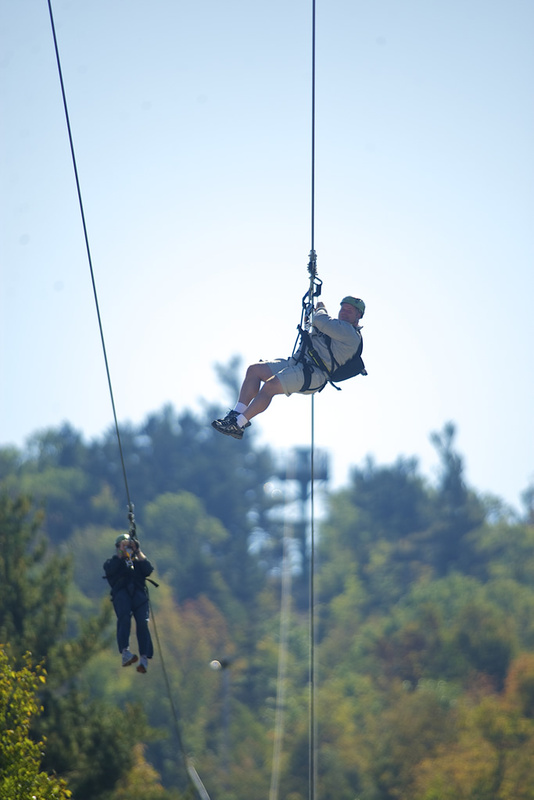 Customers begin with a short training session and introduction to the ZipTour equipment on the Demo Zip. 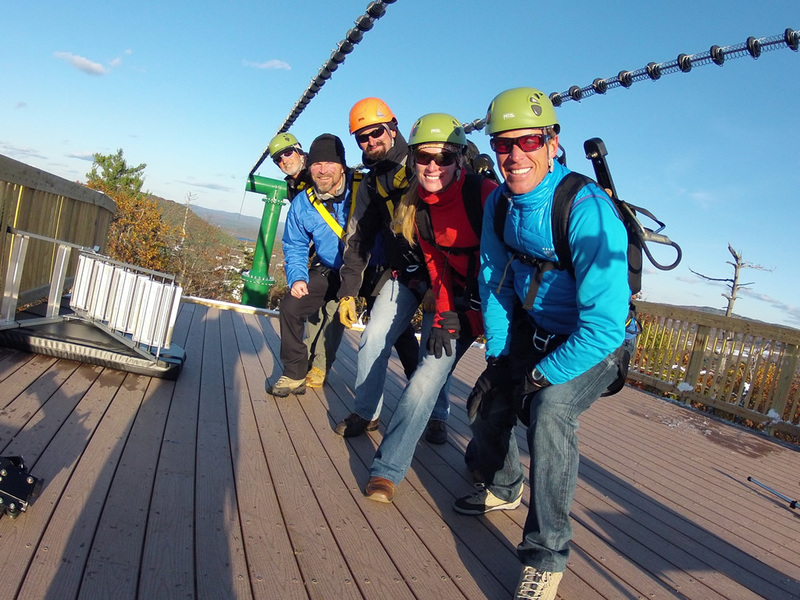 Customers then take the Magic Carpet to the top of the first span, the Wonder Zip, for a 451 foot long training ride. 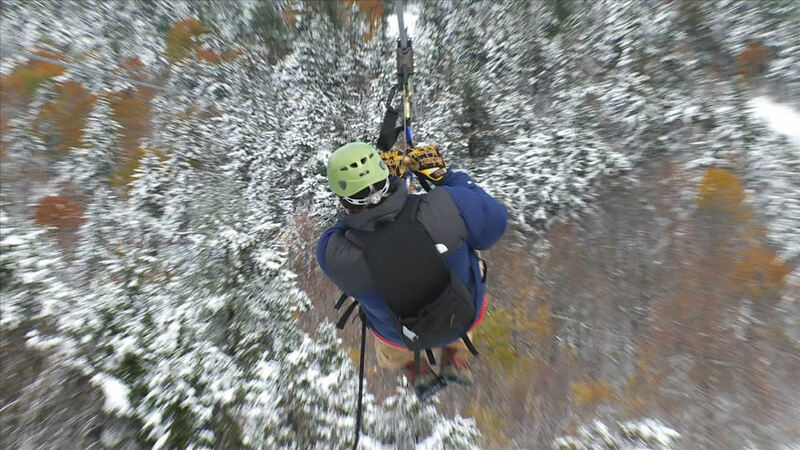 Now it's time for the big show. 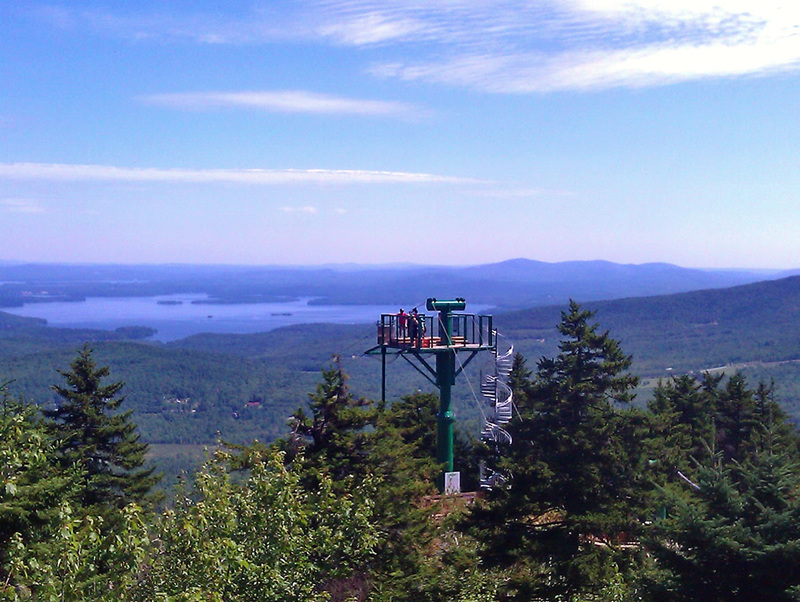 Riders take the Panorama scenic chairlift ride to the very top of Gunstock. 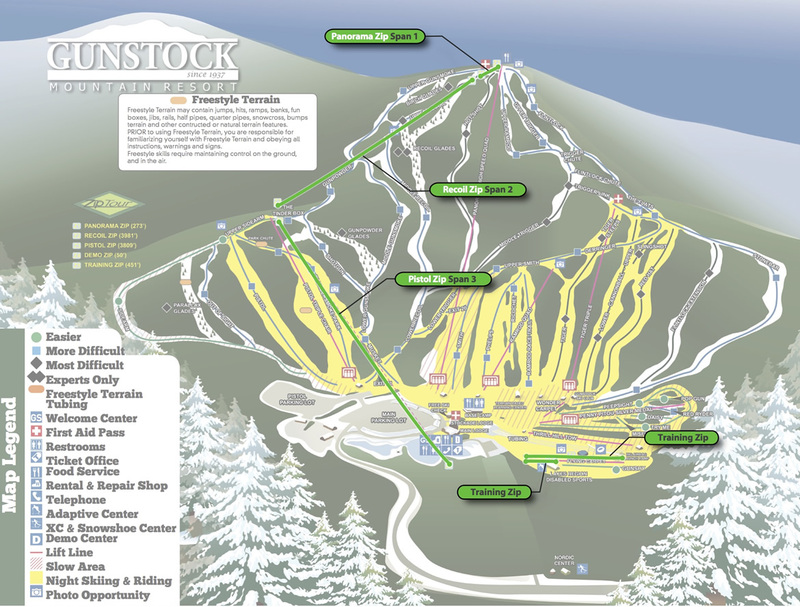 Now the adrenaline begins to pump, as anticipation for the next 30 minutes of your life revs the stoke meter to 11! 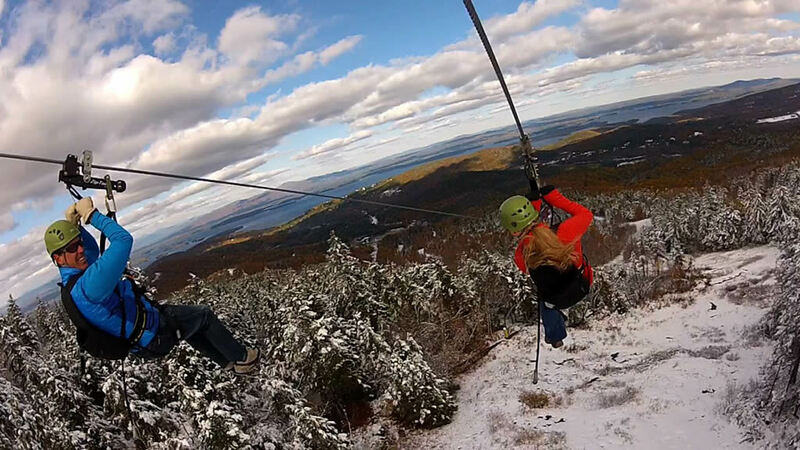 The first span off the summit, the Panorama Zip is a quick ride that builds confidence. 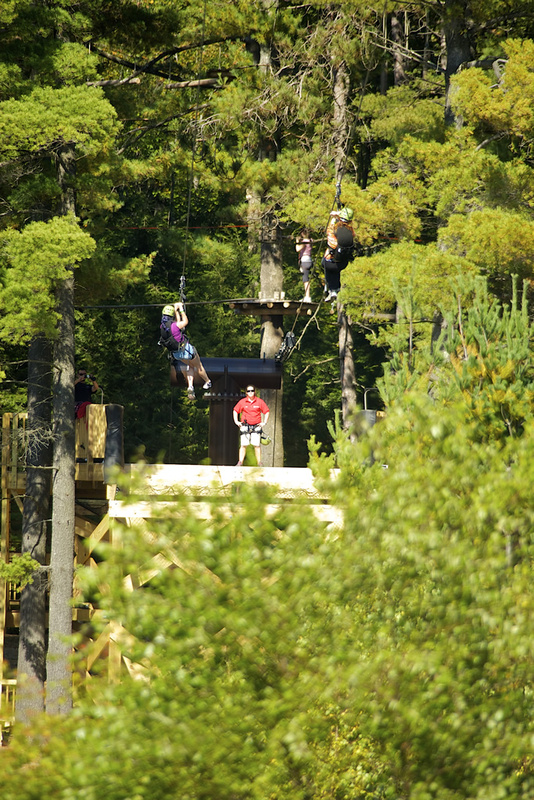 The Recoil Zip, the third span of the tour, takes flight after climbing the 40' tower to Recoil's launching platform. 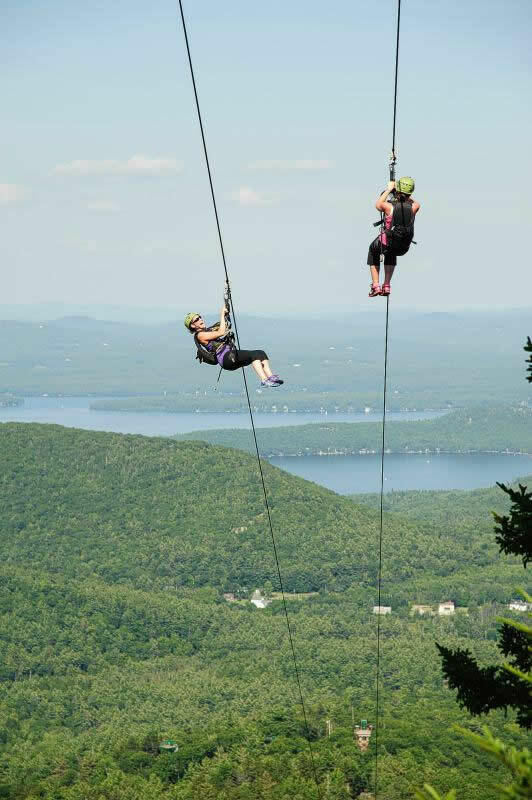 Descending from the tower, surrounded by one of the best views in New Hampshire, the ride is a kaleidoscope of passing scenery beginning above the treetops and flying where only the birds go. 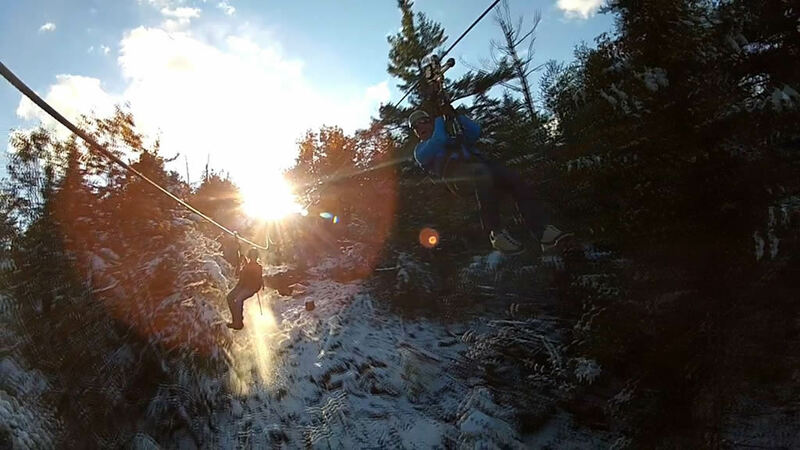 With the grand finale on the Pistol Zip, cruising over ski runs to the base village ends with one last highlight, passing over the snowmaking pond. 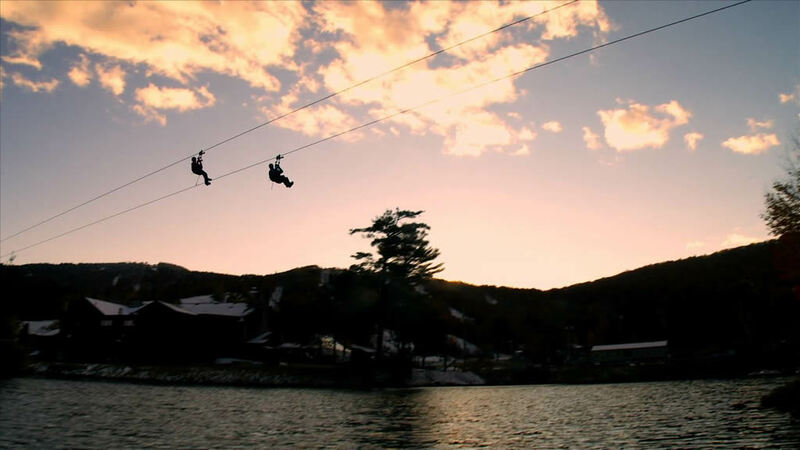 Don't forget to look at your reflection. 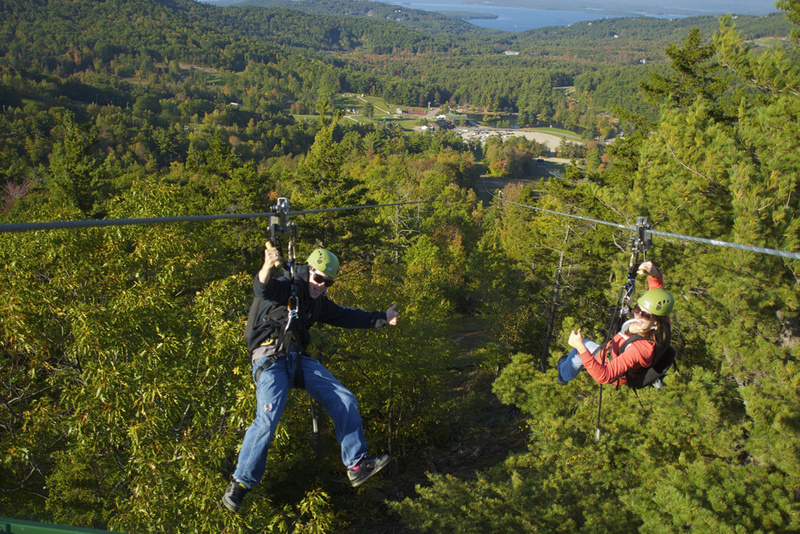 With side-by-side cables for the entire ride and rider-controlled ZipTour trolleys, experiencing the ride with friends and family is priceless! 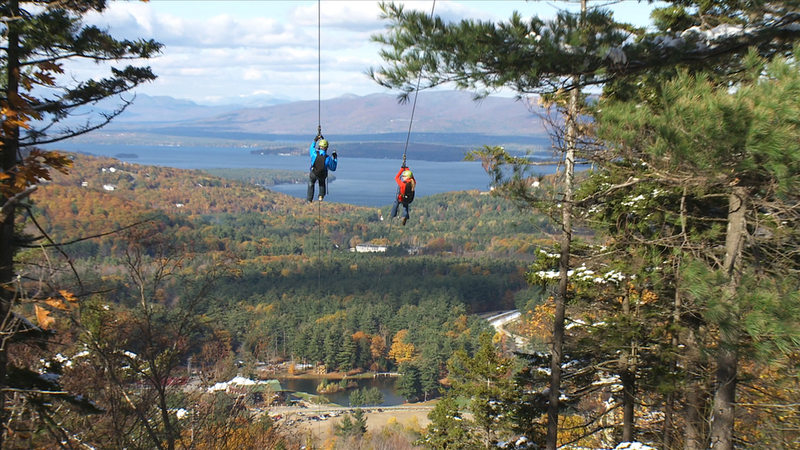 You'll have to see it to believe it... the Gunstock ZipTour.